The Rangers made their first trade of the season yesterday, but it wasn’t a firesale trade. It was a swap of Ryan’s, as Spooner went to Edmonton, and Strome came to New York. The Rangers also ate $900,000 of Spooner’s salary this year and next, making the cap hits match. 1. Spooner got off to a terrible start this season, a far cry from his solid end of last season. In 16 games, Spooner had just a goal and an assist. He bounced around the lineup, getting minutes on every line and on the powerplay. Nothing seemed to click. He was a healthy scratch for the last three games, and the Rangers found a home for him. I don’t think, like some others out there, that the Rangers were turning down offers for him when he was an RFA. 2. There were rumblings that Boston had been trying to move Spooner for a while, and finally found someone to take him when the Rangers sent Rick Nash to the Bruins (which kind of proves the last sentence of point #1). Can’t fault the Rangers for wanting to see what a 25 year old who averaged a 50-point pace can do in New York. There’s no fault in signing him to a relatively cheap deal in the offseason either. It didn’t work out, they found a trading partner. Such is hockey. You don’t bat 1.000 on every transaction. In the grand scheme of things, this is a blip on the radar. 3. As for Strome, he was a former 5th overall pick in 2011 (fun activity: go see who the Isles passed on in 2015 to take Strome). He’s 25 now, so there isn’t much untapped potential left in him. He has similar counting stats, similar puck possession stats, and similar struggles to Spooner. So this is basically a swap of Ryan’s. 4. Strome isn’t going to magically find 5th overall skill and put up a point per game, so let’s wipe that out of everyone’s minds. He will be a bottom six player. He may sent Cody McLeod to the pressbox, he may not. He will be a healthy scratch sometimes. He may make a ridiculously good play in a flash and make us all go “wow.” But that’s really it. 5. The salary bit was a little disappointing, but again nothing to write home about. The Rangers can only retain salary in two more deals through the end of next season, and that’s the only real handcuff here. There aren’t that many players that the Rangers can realistically trade that would require retained in that time period anyway. It’s a bit of a handcuff, but nothing overly crazy. Again, I don’t think this trade moves the needle in any way whatsoever. "Thoughts following the Ryan Spooner/Ryan Strome swap", 4 out of 5 based on 6 ratings. The outcome of this trade will all depend upon Who the coach will select to play with Strome. If he plays with Cody it will be a disaster. If he played with fasth it may be a disaster also. The coach ruined sooner, I hope he doesn’t do this to the guy. This is an example of how a coach can put a player in a position to fail, ( he tried to do that with Butch )he rather have fasth there and do nothing then have Spooner there and ruin his career. What I say does not ruin a career what the coach does, does. I don’t expect too much from this transaction, other than changing the scenery of two disgruntled players. 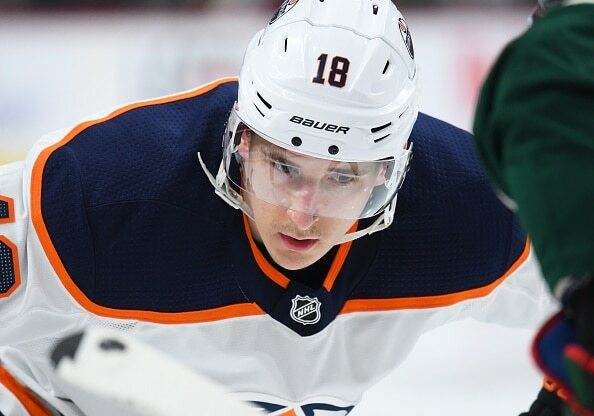 There had to be a reason he, Strome, was drafted 5th overall, and there is a possibility that he wasn’t developed properly, so now he gets another shot at fulfilling his potential. If not, well he was a dud and will continue to be one, but give him some time to get acquainted with the team, system, coach, and players he will be involved with for the remainder of his contract. On the other hand Spooner was doing nothing at all, so what have we got to lose? He didn’t like the system, and or the coach, as some have said, so he gets another shot at a new team, system, and coach. I don’t see us making a big deal of this transaction, other than we get a bit younger, and bigger with Strome, and the scoring should be a wash. I do like that Strome is more defensively aware, versatile, and may help on the PK!!!!!!!!! The thing is we have a bit of a history over the course of the last decade of trading for (or ufa signing) other teams’ disappointing Top 10 picks and turning them into more productive players (Poulliot, Brassard, etc.). Of course it’s hit or miss with these types of players — but they weren’t drafted so high for no reason at all. Re: Spooner, I always thought of him as more of a throw in — a salary exchange — in the Nash trade. Sure, he was added value and sure, the Rangers thought that maybe he could shake off the inconsistency of his game to become a more reliable player …. but I never really saw him in our future plan. He was never going to crack the Top 6 and his game never seemed suited for the 3rd or 4th line. In that regard this trade seems like a win to me — we get a player who once scored 50 points in a season, who scored 34 points last year while not playing in a Top 6 role. He’s a full year and half younger, he’s bigger and he’s more suited to being a 3rd liner. Plus, as someone else suggested, he looked unhappy … and he came from Boston with some baggage (like maybe he wasn’t the best teammate) — that’s a recipe for under-performing. Spooner obviously did not by into Quinn and his system, being traded so early in the year. What evs, he was useLESS this year. Strome may be useFUL the rest of the year. End the speculation and make Kreider the Captain already. He deserves it. And speaking of Kreider – Brooks has put out a Greider/Skjei for Nylander proposal. I am totally against decimating the youth and the re-whatever by giving away the farm (literally i guess) to overpay on Nylander. But the clock is ticking and Maple Leafs are getting backed into a corner. I doubt they would take that trade, but if it that was all it took, then it is no-brainer. But you also have to wonder Nylander’s motivation to sitting out on a team that has Stanley Cup potential. I’m fine with sending Skjei in a package, but Brady AND Kreider? First of all that’s almost $10M in cap space that the Leafs would have to take on, which is insane to even suggest, because that’s why they’re trading Nylander to begin with, to save cap space for Matthews and Marner next year. So that recommended trade is fantasy land. Plus, I wouldn’t do it anyway. Now, if you want to suggest Skjei and Andersson, then I think that the Leafs might be interested. But, if I were to say, Carolina has D men (not named Hamilton) that have reasonable cap hits that might interest the Leafs, like Pesce, who is 23 and locked in at around $4M per for 5 years or so. I hear that the Leafs want Slavin. Good trade. Same salary with the cap absorption. Strome is bigger with a right handed shot. So upgrade.